This printable is very cool if I don’t say so myself! 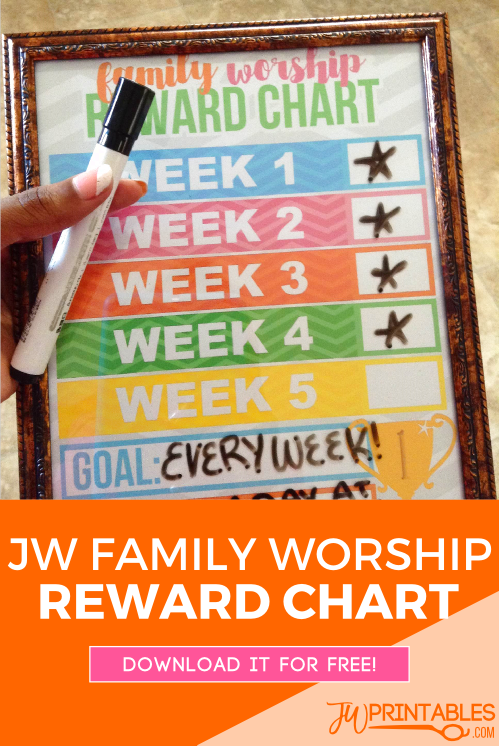 This is something we’ll be using to keep track on our family worship, but also to give the little person in our family something fun to look forward to. We gave a little sneak peek at this printable on Instagram a short while ago and it was suggested by someone that this would work well if we let the kids decide what the reward will be. 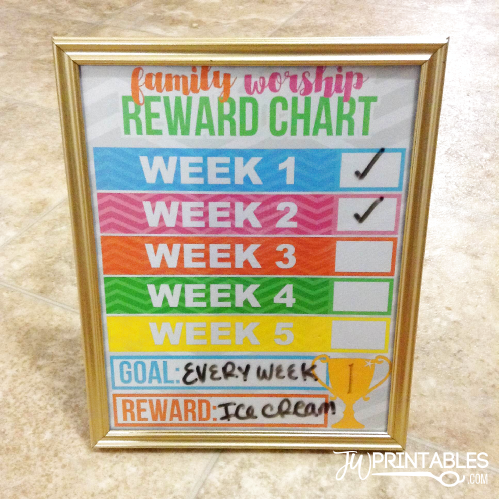 This printable also goes well with the wheel of family worship if you’d like to try that out with your youngins too! Assembling this is very easy, all you need is a blank photo frame and a dry erase marker. The printable will print 8.5″x11″ but you can set your printer to print this any size you want so it can fit in any size frame. Use the dry erase marker to write on the glass of the photo frame. This way you can reuse the reward chart indefinitely without needing to re-print it over and over again. We hope this makes your family worship evenings more fun and enjoyable for your young ones! As always, this is only for personal use. If you get a chance to use it, please tag us on instagram @jwprintables so we can see! To get this for yourself, download below! I thank you so very much for all the print outs for my grandchildren at the meetings. I really appreciate your generosity and love for this site. Thank you for sharing this lovely printables. It really helps me to get an idea for our family worship. And thank you also for making it for FREE. May Jehovah God continue to bless you.